First of all, notice the lack of a rumor tag. Secondly, this is going to be one of those posts where we do not reveal our source for obvious reasons. Nvidia is going to be revealing their GTX 960 GPU very soon and the slide deck for the card has already leaked out. The 960 is a decent enough card with one major caveat: the 128-bit bus. It is this bus width that we will explore today and compare with the AMD’s counterpart: Radeon R9 280. The performance is given in percentages, with the GTX 960 as the base unit (100%) for the relative scale. 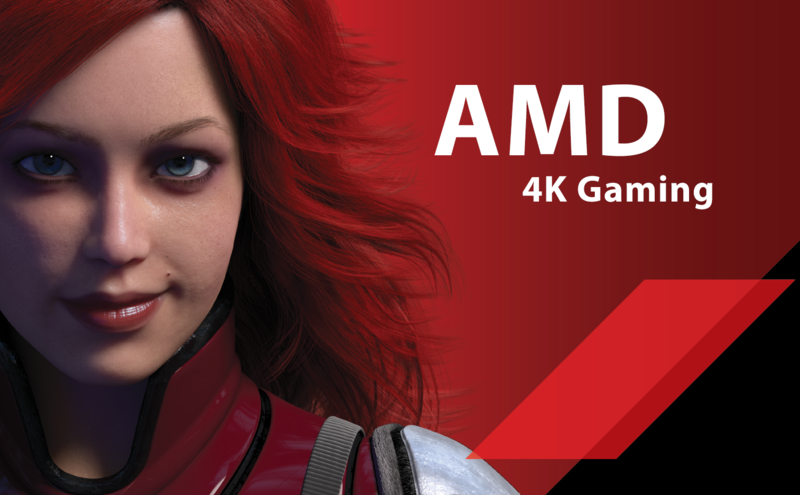 Now here is the thing; lets face it, most of the people buying a GTX 960 or an R9 280 are not going to be gaming at 4K. So the extraordinary difference in performance here is meant to show you only one thing: that the bus width problem is very much real. While its going to be nowhere near as defined on 1080p, it will remain a problem. The fact is no amount of software can overcome lack of hardware. For example, games that are very memory intensive and require generous amounts of bandwidth might start to stutter at the targeted 1080p resolution. And don’t even think about employing super sampling techniques at 1080p. If any of you are wondering why the GTX 960 was benched at stock settings, then the answer is that the R9 280 is a decent over clocker too (though the GTX 960 is apparently better). The fact remains that once you start taking OCed cards into the equation, defining an upper limit on the overclock gets very hard. 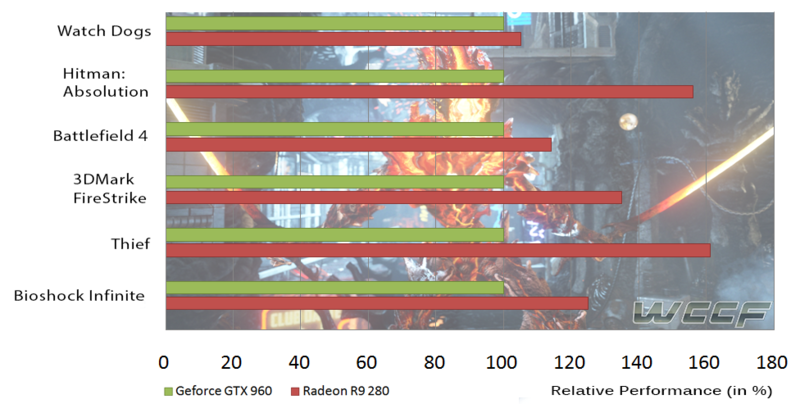 Another important factor I think I should mention is that the R9 285 is very competitively priced against the GTX 960. Demand of GPUs such as these are driven mostly by the performance/price point and the R9 285 while competing for the 1080p performance/$200 price point would take home the victory. Honestly speaking, the bus width is quickly becoming one of the most neglected parts of a chip and its importance couldn’t be stressed upon more vehemently. The 285 features a 256 bit bus width, ie twice as much as the 960, a point any potential buyer should definitely take into consideration before his final decision.